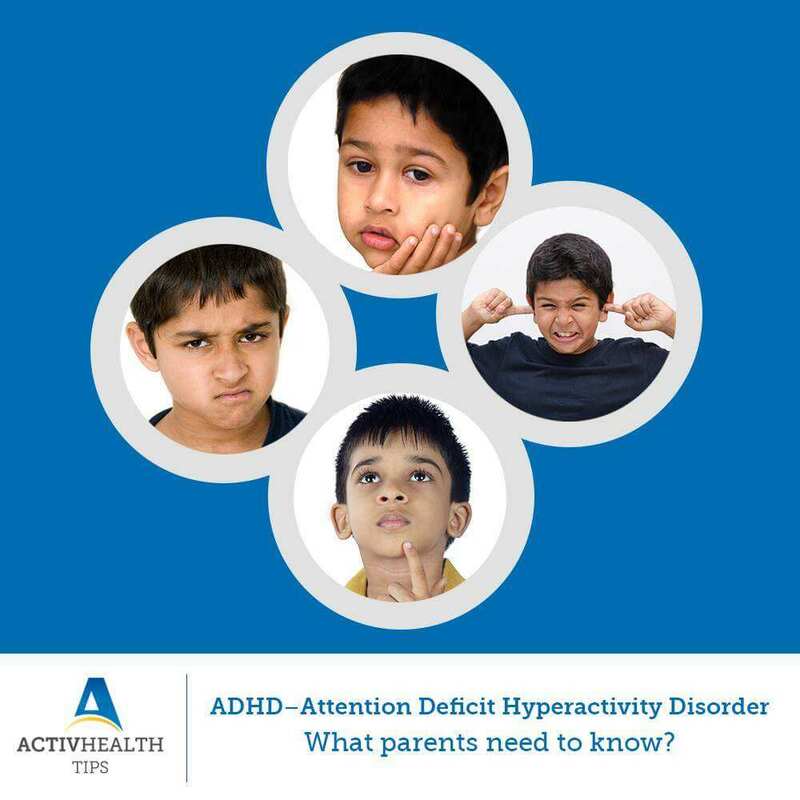 ADHD – Attention Deficit Hyperactivity Disorder: What parents need to know? 1. Current research does NOT support the perception that it is caused due to eating too much sugar, watching too much television, bad parenting, poverty etc. Attention deficit hyperactive disorder (ADHD) is a common behavioral disorder that causes above-normal levels of hyperactive and disruptive behavior. It is characterized by impulsive behavior, hyperactivity and inattention. Usually, ADHD is diagnosed in childhood, but symptoms of ADHD can endure through adolescence and adulthood. People with ADHD will face various difficulties in concentrating, paying attention to details, sitting still and controlling impulses. Many people with untreated ADHD will have difficulty in socializing with their peers, coworkers and even family members at home. They may realize what is expected from them, but will have difficulty in executing it, as they can’t pay attention, focus on things and stay still. A combined type – It is the combination of an inattentive and hyperactive type. Current treatments focus on reducing the symptoms and improve the functioning. In most cases integrated approach – combining medicine and behavior therapy is used. Generally, a good treatment plan includes medication, behavior therapy, parent training, or a combination of treatments, close follow-up and monitoring. Parents of children with ADHD are recommended to actively get involved in the children’s treatment as Parent education is also a significant part of ADHD management. Medication – Several types of medicines such as stimulants, non-stimulants and antidepressants are used to treat ADHD. As different medicines have different responses from different people with ADHD, your doctor might try to give you few medicines in different doses. In case, a person with ADHD is also being treated for another disorder, doses of medicines will be different. Medication is always given on recommendation of doctor. I must show thanks to you just for rescuing me from this particular setting. After surfing through the world wide web and seeing things that were not helpful, I was thinking my entire life was well over. Living without the presence of approaches to the problems you have sorted out as a result of the article content is a critical case, as well as those which could have badly affected my entire career if I hadn’t encountered your web site. Your actual know-how and kindness in controlling the whole thing was very useful. I don’t know what I would’ve done if I had not discovered such a subject like this. It’s possible to at this point look ahead to my future. Thanks very much for the impressive and effective guide. I will not think twice to suggest your blog post to any person who should have tips about this subject.